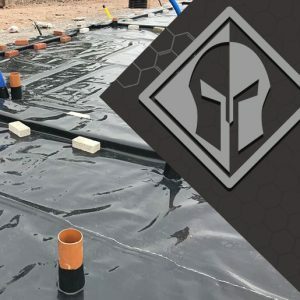 Fully Bonded Waterproofing Membrane A pre-applied fully bonded waterproofing membrane incorporating the GP® TITANFLEX membrane and a heavy duty virgin polypropylene geotextile. 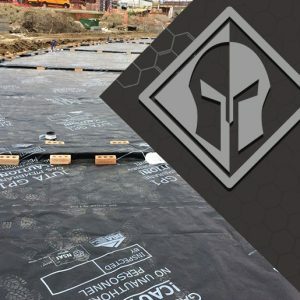 The geotextile is laminated to the membrane to provide a dual function; protecting the membrane from damage, and providing an integrated ‘bond’ to poured concrete. 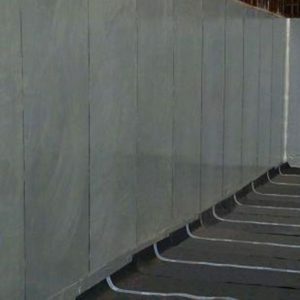 ensuring a fully bonded waterproofing barrier which has exceptionally high resistance to ground gas and voes. GP® TITANBOND is used for the Gas/Waterproofing/TanRing of underground structures where harmful ground gases are anticipated. Membranes are extensively tested and proven to withstand the most aggressive environments. Testing has been completed in accordance with BS8485:2015 and C748 to determine the permeation rates for Methane, Carbon Dioxide, and a range of VOC’s. Immersion testing has also been completed to for Chemical Resistance to EN 14414 and EN 14415. 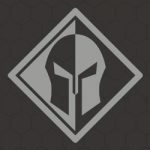 No other manufacturer is able to provide the level of extensive testing to prove suitability for these challenging environments. 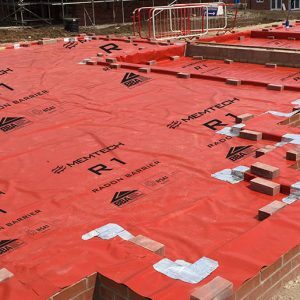 Self Adhesive Ground Gas & Hydrocarbon Membrane A Self Adhesive version of the GP® TITANFLEX. Composed of self-adhesive with an upper surface finish of GP® TITANFLEX and a lower surface finish or siliconized polypropylene release film. GP® TITANTANK is used for the Gas/Waterproofing/TanRing of underground structures where harmful ground gases are anticipated. as a post­applied fully bonded membrane. 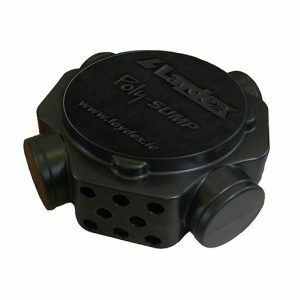 The Laydex Radon Sump is a high quality roto-modulated PVC unit which is lightweight, durable and easily installed. The outlet positions are easily cut on-site to allow vent pipes to be attached for extraction, and dispersion, of radon in the atmosphere. 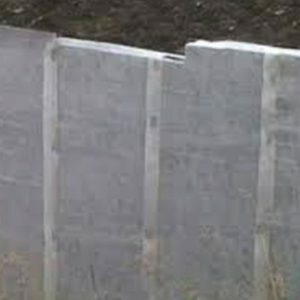 Laydex also supply quality Radon Barrier Membranes for use in affected areas. This Certificate relates to the Laydex Polysump Radon Sump, which is used as part of a radon protection measure in buildings and enables subfloor depressurisation or pressurisation to be introduced if required at a later date. This Certificate certifies compliance with the requirements of the Building Regulations 1997 to 2014. 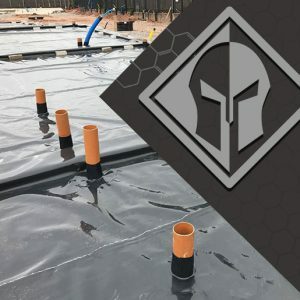 Visqueen Gas Resistant (GR) Self Adhesive Membrane is designed to prevent the transmission of carbon dioxide, radon and methane gases in tanking applications or where hydrostatic pressure is present. Resistance to gas is achieved by an integral aluminium film. Substrates should be primed with Visqueen HP Tanking Primer prior to application. Visqueen Gas Resistant (GR) Self Adhesive Membrane is compatible with Visqueen Gas Resistant (GR) DPC and other Visqueen Gas Membranes. Sealing joints in the radon membrane How important is Radon Protection System? Radon, a radioactive gas, occurs naturally in Ireland and the country contains some of the highest radon levels in the world. 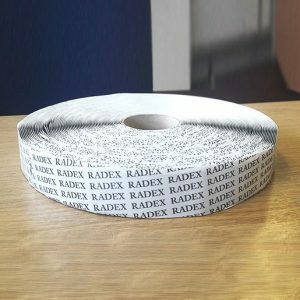 Laydex provides the complete radon protection system: Radon Tape, Top Hat, Laydex Sump, Gas Resistant Self-adhesive Membrane, Gas Resistant DPC, Gas Primer and Quick Drying Liquid Radon Barrier. 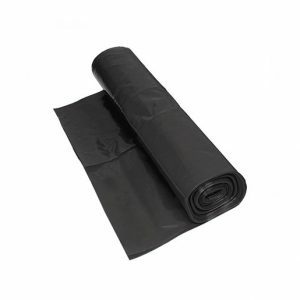 Visqueen Protect&Drain consists of a geotextile filter membrane thermally bonded to a cuspated HDPE core. The product is 6mm thick and supplied in easy to handle rolls: 0.97m x 25m. For high water risk sites we recommend the use of Visqueen Protect&Drain 25mm. 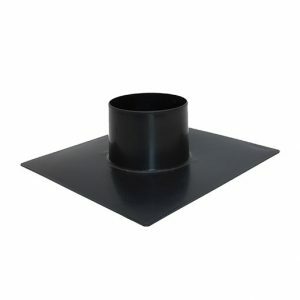 The Laydex Top Hat is a pre-formed section that provides a safe and strong sealed connection around pipe penetrations in a radon barrier membrane. It helps complete a radon barrier system that prevents the ingress of harmful radon gases to protect your health. This Top Hat section is easy to install, durable and robust.